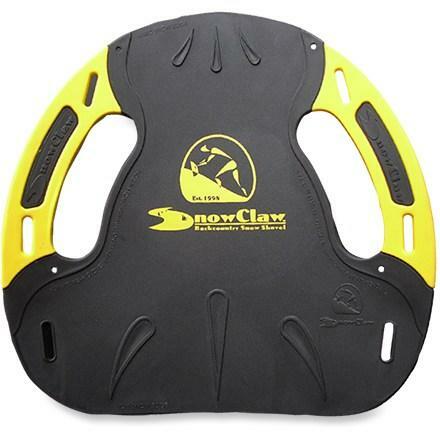 Visit Backcountry Access's A-2 EXT with Saw page. 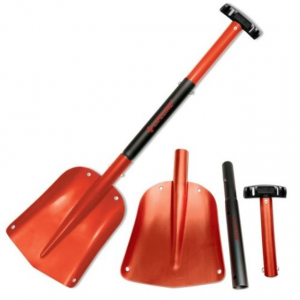 The Arsenal saw system from BCA includes a 29 cm snow/wood saw that is stowed inside the shovel grip. 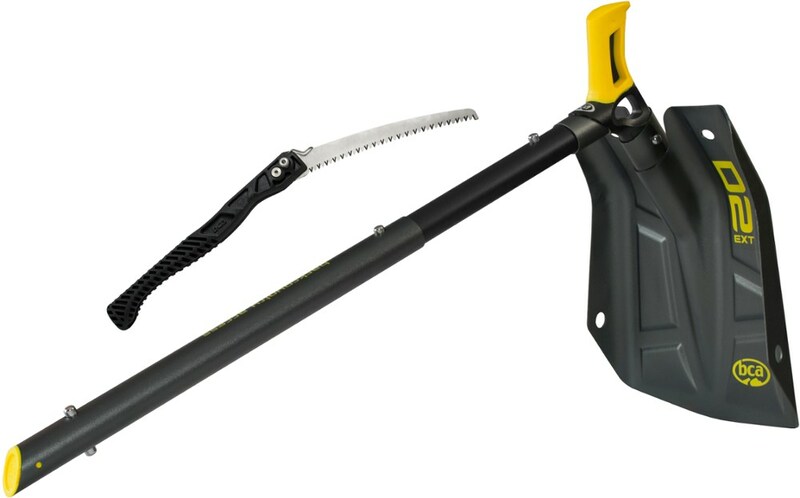 Once the saw is deployed, the shovel remains fully assembled and functional: the shaft does not have to be removed from the blade and the grip is still intact. 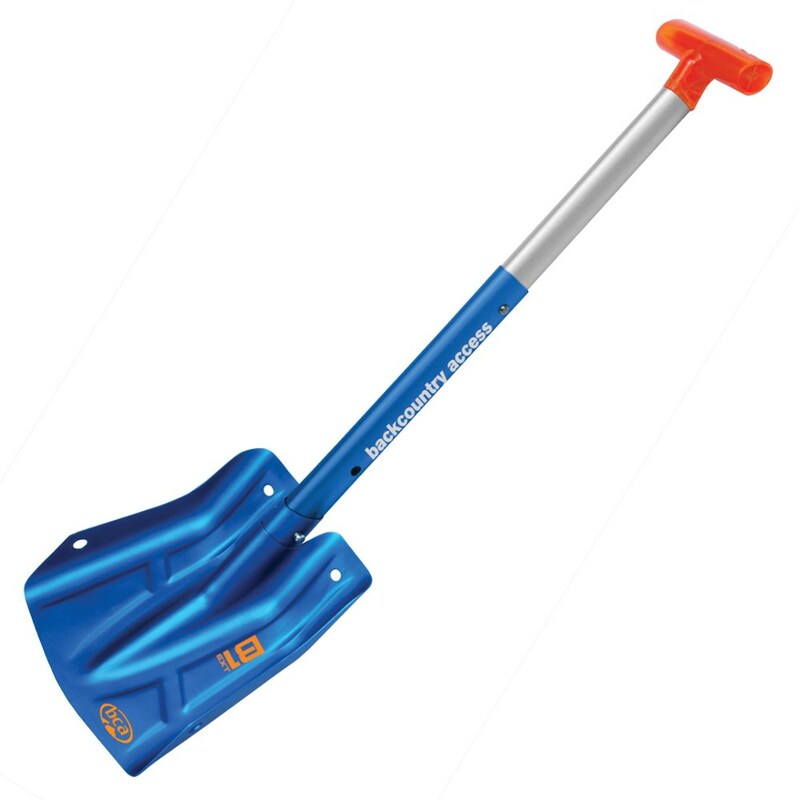 Backcountry Access Avalanche Safety A-2 Extendable With Saw Shovel C1316SH67010. 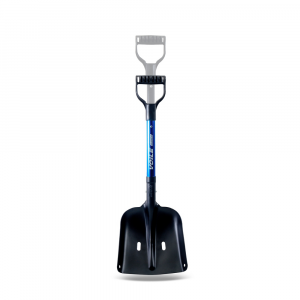 The shovel has a 29 cm wood/snow saw stows in the shaft. 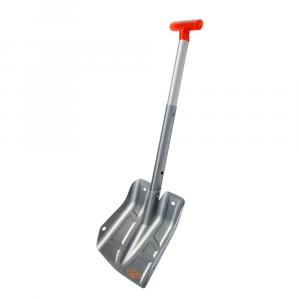 Even when the saw is deployed the arsenal shovel is functional. 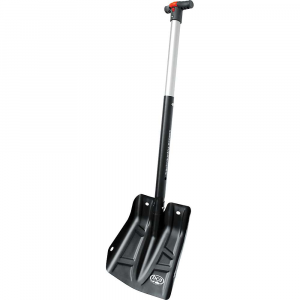 Act like the stealth snow ninja you were born to be with a little help from the Backcountry Access Arsenal Shovel EXT with A2 Blade and 28cm Saw. BCA cleverly stashed the 28cm Saw in the Arsenal's shaft and built it so that the shovel can function when the saw is in use--you know, for testing the snow or fending off killer snow bunnies.